The NBA, as we often are told, is a big man's game, though somewhat less so in this era with decreasing emphasis on center low post play. Still, the elite players in the conference finals are giants like LeBron James and Kevin Durant. While some of the recently dismissed stars from the playoffs are seven footers like Anthony Davis and Giannis Antetokounmpo. But some of the greatest impact players in the game and in NBA history, as well, are 6-3 and below. Consider that since 2005, there have been eight different players who were named league Most Valuable Player. Four are 6-3 and smaller, comprising Derrick Rose, Russell Westbrook and those generously listed at 6-3, Stephen Curry and Steve Nash. The ideal NBA height is supposed to be about 6-7, so smaller players tend to get overlooked in the draft. But their impact cannot be denied. Consider Hall of Famers like Calvin Murphy drafted 18th, Joe Dumars 18th, Nate "Tiny" Archibald 19th, John Stockton 16th. And then players likely to be in the Hall of Fame, like Nash picked 15th, Tony Parker 28th and Curry seventh. Maybe even Rajon Rondo at 21. Six foot Nick Van Exel became an All-Star drafted 37th. 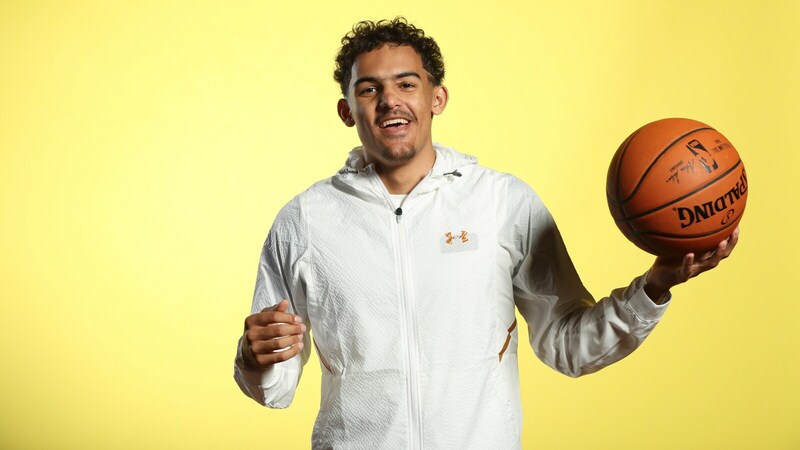 And then there's Trae Young, the U. of Oklahoma scoring and playmaking star who along with Missouri's Michael Porter Jr. are the mystery men of the 2018 NBA draft. Though different, both are regarded as potential high impact talents, though with accompanying big concerns. Porter Jr. had back surgery and played just three games as a freshman. Young led the nation in scoring and assists, but he measured at 6-1 3/4 with shoes and 178 pounds at the Draft Combine at Quest Multisport in Chicago last week. The Bulls with the No. 7 pick in next month's NBA draft don't figure to get a high impact player. Those players generally are taken in the top three or four. Though a player draft is an unscientific exercise and many star players are selected later in the draft for reasons of size, generally viewed as too small or weak. But many, nevertheless, emerge as the best players on their teams and even champions because of their high level of skill, perhaps like Young with uncanny shooting ability and being one of the best passers in college. "I prepared extremely hard coming into the college season and made a huge impact right away," noted Young, the star of the last college season. "I'm working two times as hard this summer preparing to get to the NBA level and I want to make a huge impact right away." The early draft consensus has potential top players like DeAndre Ayton, Luka Doncic and Marvin Bagley at the top. If Porter's physicals prove clean, he could make it a top four. That would leave the Bulls likely selecting among big men like Jaren Jackson Jr., Mohamed Bamba and Wendell Carter or a small forward like Mikal Bridges. Perhaps even an athletic point guard like Collin Sexton. "I think I pretty much do it all for a team and I am looking forward to making a huge impact for whatever team I go to." All of those players figure to be NBA starters and certainly high rotation players. All Stars? Maybe one or two for a time or two. None of those players, though, figure to be a bust out. And then there's Young, whom some say could fail given his diminutive stature and likely defensive shortcomings. The next Jimmer Fredette? A big time college scorer who could not stay on the court in the more rugged NBA. But then there are players like Curry and Nash, both of whom came into the NBA with many of the same questions and doubts that have stalked Young, Nash not even a starter until his third year in the NBA. Both became back to back MVPs, the smallest players ever to achieve that status. "Steve Nash is my favorite player of all time," said Young. "His size and my size are very similar. He is very cerebral, he can score from all three levels and he knows how to get his teammates involved and he is a winner. So I feel a lot of his characteristics match mine. "I love the comparisons (to Curry)," Young acknowledged. "He's a two-time MVP and a champion. I feel I bring a lot of different things from different types of players. I think I bring a lot of things to a team. I bring immediate impact off the court as much as I do on the court. As far as my skill set, I can spread out the defense, I can attack defenders in multiple ways, I can get my teammates involved. I think I pretty much do it all for a team and I am looking forward to making a huge impact for whatever team I go to. 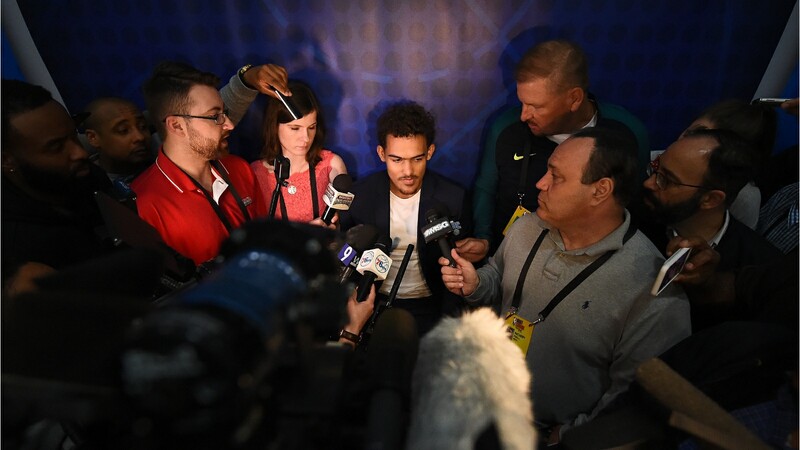 I'm just trying to be the best version of Trey Young." There's clearly a fear factor with a player not only like Young, but spending a season like the Bulls have not in contention and in the lottery. You need to add a talented player who can be a part of your core. But the Bulls don't exactly have anyone who is considered, at least now, a major star. Power forward Lauri Markkanen has shown signs and could be that kind of player. Though it takes more than one. Can Zach LaVine? Can Kris Dunn? Can you find one in free agency? Though trade? One big issue that has been facing the Bulls is movement on offense, passing and sharing the ball. Dunn and LaVine, though just in their first seasons with the Bulls and both often injured, tended to be more ball dominant players. Dunn is the point guard, but at 6-4 and more than 210 pounds, perhaps he plays more shooting guard with an ability to handle the ball and LaVine with shooting range and a solid 6-5 plays small forward. Smaller, more athletic lineups have been in vogue in the NBA these days. And Young can sure score. His high school numbers were amazing, averaging 25 points as a sophomore after not even playing as a freshman, 34 as a junior and then 43 per game as a senior. OK, but let's see it translate to the next level in a major conference. Young was the story of college basketball the first several months, lauded by LeBron James and Curry. Through January, he had four games scoring more than 40 points while getting double figure assists in eight of his first 13 games and as many as 22. Someone finally to look ahead and pass the ball? 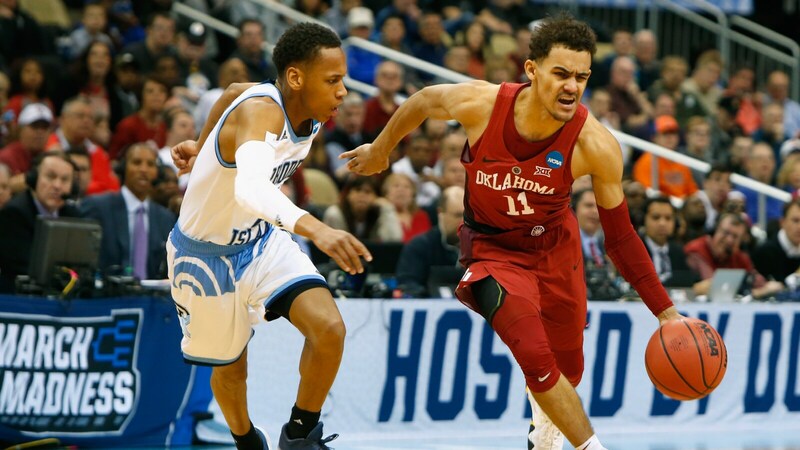 Young stumbled later in the season as opponents focused on him with a weak Oklahoma roster. If you call averaging 23.6 points his last 12 games and more than seven assists against double and triple teams and zones a stumble. Not exactly being shut out. If a player can score like that in the slower college game against defensive focus, how much would that change in the more open and faster NBA game? Is this a chance to steal a star at No. 7? Or end up explaining your decision for years? "Now my main focus is getting my body right," Young told reporters on the last day of the combine. "I picked up 10 pounds of muscle in the last five weeks; we're still five weeks from the draft. Getting my body ready to handle 82 games in the season. I'm excited having the opportunity to show people I can play defense and have been super excited to show that from Day 1. The fact I don't like playing defense (is a misconception). I am looking forward to showing that. I love (playing bigger guards). I love when people try to get physical with me. They think that's the way to guard me, to get physical. But I use that to my advantage. "I think I am the best overall player in this draft," Young offered conversationally. "My main focus isn't necessarily to be the best player in this draft. My goal is to be the best player in the NBA and that is what I am focusing on each and every day. My main focus is going to the right team; it's not about being one, two, three or 30. You see a lot of guys who stick around (late in the draft). It's all about the fit for me. Whether that is No. 1, whatever, I'm going to be happy and ready to make an impact. "There are teams in this draft who are one, maybe two pieces away from being a team in the lottery this year but not next year," Young said. "There are some teams like that I feel like if I am on that team that I can be a big impact for them. Everybody has different types of games and I think mine is unique and different." A good fit for a team like the Bulls?